To take such an extreme measure based on concocted accusations that such media outlets are aiding terrorism and conspiring against the state is nothing short of scandalous, and shows his fear of public criticism despite his bravado. President Erdogan, however, seems completely dismissive of any potential repercussions, as he was emboldened by his past rampage against the press and jailing of scores of journalists on phony charges with impunity. In fact, Reporters Without Borders’ 2015 World Press Freedom Index ranked Turkey 149 out of 180 countries, between Mexico, where journalists are regularly murdered, and the Democratic Republic of the Congo, which is a failed state. Perhaps Erdogan should be reminded of what truly constitutes a democracy. Freedom of expression represents one of four critical pillars of any democratic form of government, which also includes the election of a representative government, equality before the law, and strict observance of human rights. Sadly, Erdogan did not stop at repressing freedom of expression in all forms—he regularly chipped away at the other pillars, which is bound to unravel what is left of Turkey’s democracy. The Universal Declaration of Human Rights guarantees “the right to freedom of opinion and expression;” but as Benjamin Franklin warned, “Whoever would overthrow the Liberty of a Nation must begin by subduing the Freeness of Speech”. Erdogan was highly admired for his impressive socio-political reforms and significant economic development, which made Turkey the 17th largest economy in the world during his first and much of his second term in office. He could have realized much of his ambitions to make Turkey a recognized regional superpower with rallying support of the public with pride. He would have been able to do so without destroying the principles of Turkey’s foundation as a secular democracy, as was envisioned by its founder Mustafa Kemal Atatürk, and offer a real model of a flourishing Islamic democracy to be emulated by much of the Arab and Muslim world. Sadly, however, Erdogan ignores the fact that his systematic dismantling of Turkey’s democratic institutions will have the precise opposite effect by directly torpedoing Turkey’s potential as a great power and squandering what the country has to offer. Time and again, Erdogan demonstrated his lack of tolerance to opposing views and found the press to be a nuisance, as it was generally critical of his Islamic agenda. He understood, as George Orwell aptly put it, “Freedom of the press, if it means anything at all, means the freedom to criticize and oppose”, a freedom which Erdogan is bent on suppressing. As such, Erdogan has used his strong Islamic credentials to project himself as a pious leader, when in fact he consistently engaged in favoritism, granting huge government contracts to those who supported him and to his family members, irrespective of conflicts of interest and the corruption that ensued as a result. With a rubber stamp parliament, he has been able to pass any legislation he wished, with the exception of a constitutional amendment that would have granted the President unlimited powers. He subordinated the justice system to his whims and basically became a one man ruler with dictatorial powers, finally doing away with the checks and balances of the government apparatus. 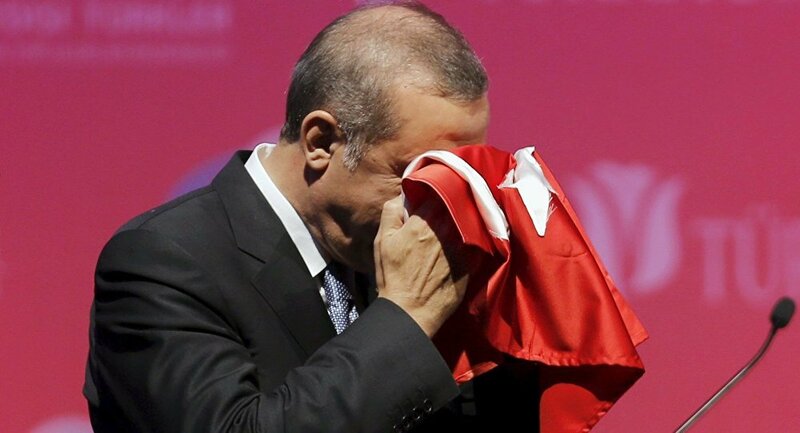 To be sure, Erdogan’s appetite for increasing power, harsh treatment of dissidents, religious zeal, and narcissistic predisposition made him feared by much of Turkish society yet admired by others; he is almost unanimously reviled by the international community, but dealt with out of necessity. The agreement that was achieved on March 7 between Turkey and the EU in connection with Syrian refugees and asylum seekers is one case in point—he made his move to shut down Zaman around the same time, knowing he would not be severely condemned by either the US or the EU for his actions. The question is that having been in power for nearly 14 years and amassing so much clout, with or without constitutional amendments, will Erdogan take time as President to contemplate Turkey’s future—a country that has all the elements and resources to become a great and influential power, especially now that the Middle East is awash in unprecedented turmoil? Being that Turkey now faces a historic crossroad, the choices Erdogan will make in the months and years to come will have a lasting effect on Turkey’s future. Erdogan will make a grave mistake if he continues to take the Turkish people for granted. The Turks are inventive, industrious, educated, with a long history of achievements, western oriented, and stand for, believe in, and will insist on a democratic way of life. There are limits as to how much longer the Turkish people will tolerate not only the stifling of free speech, but Erdogan’s draconian style of governing before they rise against him. Erdogan should know that for Turkey to capture its rightful place among the great powers, he must restore all that was lost in the past few years, especially its democratic foundation. Without such democratic principles, Turkey will be further alienated from the Western countries, the bloc to which Turkey should belong, and will be unable to harness its true potential as a Middle Eastern and European power. Ironically, Erdogan seems to relish the illusion that he will preside over the 100th anniversary of the Turkish Republic in 2023, and be remembered as the new “Turkish Father,” overshadowing Atatürk. He desperately wants to restore some of the ‘glory’ of the Ottoman Empire, forgetting however that the then-Empire crumbled partly under its own weight, and became easy prey for the allied forces in the early 20th century because of corrupt and unscrupulous leaders. 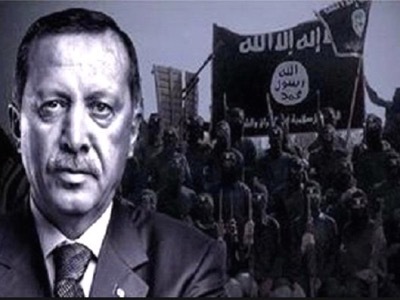 Failing to make the right choice, Erdogan will not be remembered as the father of the new democratic and powerful nation, but as the misguided and ambitious dictator who sacrificed Turkey’s potentially glorious future for his religious zeal and burning desire for ever more power. To listen to an audio version of this article, please click here.